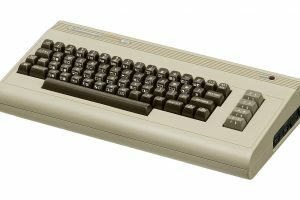 At the same time I did extensive keyboard surgery on my Atari 1200XL, I also took the opportunity to try and debounce some of the keys on my Apple IIe Platinum’s keyboard. Fortunately, that was a far simpler process. Initially, I noticed that the D key would sometimes create additional characters per single press, e.g., “LOADDD” instead of “LOAD“. Since every other key seemed to work fine, I assumed it wasn’t a bad keyboard encoder or some other procedure that would require more extensive work. It was probably just dirty. Since getting rid of most of my collection, I no longer have the luxury of multiple spares, so I’m far more cautious with what I do with my little remaining vintage computing equipment (and I obviously don’t want to add any more vintage equipment, since that would have defeated the point of auctioning off the collection in a few months). As such, I wanted to be 100% sure that pulling a keycap wouldn’t cause any damage. After all, I could live with an occasional extra D rather than something physically broken. 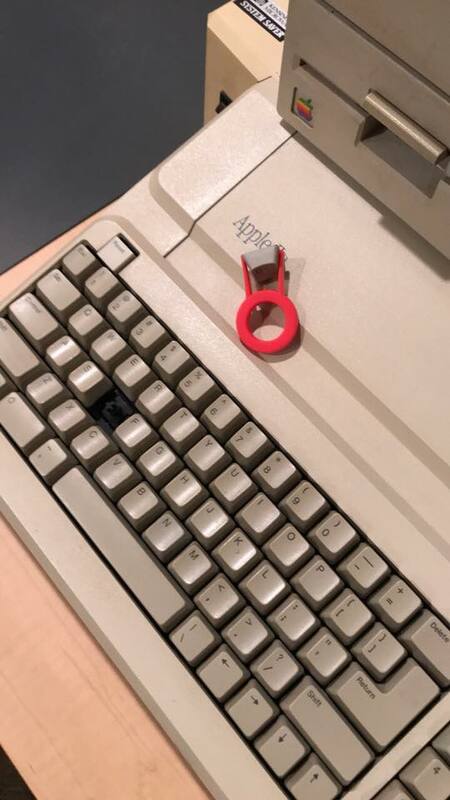 After confirming on the excellent Apple II Enthusiasts Facebook Group that it indeed is safe to pull Apple IIe keycaps, I proceeded. It was recommended to me that I pull the keycap as straight up as possible to avoid cracking any of the plastic. Since I still had a few modern mechanical keyboard key pullers in my possession, I used one of those. It worked well, with the key cap pulling right off once I worked the puller under. The keys really do pop off fairly easily. As you can see from the photo, there’s still a lot of plastic between the key and the contact points. Nevertheless, I sprayed the usual cleaning solutions, including Deoxit and its variants, to really get into the grooves. I pressed the stem multiple times and really tried to work the solution in, being careful to wipe some of the excess and even using some compressed air for additional penetration and drying. In the process of testing the D key (it was recommended to me to press the key many, many times, which I did), I came to find that J and M were exhibiting similar issues. Not 100% happy with the results of the D, which exhibited less frequent, but still occasional “bounces,” I took the opportunity to clean that again as well. Long story short, I cleaned and worked all three keys, which appeared to do the trick. Success. No more key repeats! After waiting until 24 hours later to see if the cleaning really worked, I’m happy to report that all three keys work perfectly now. 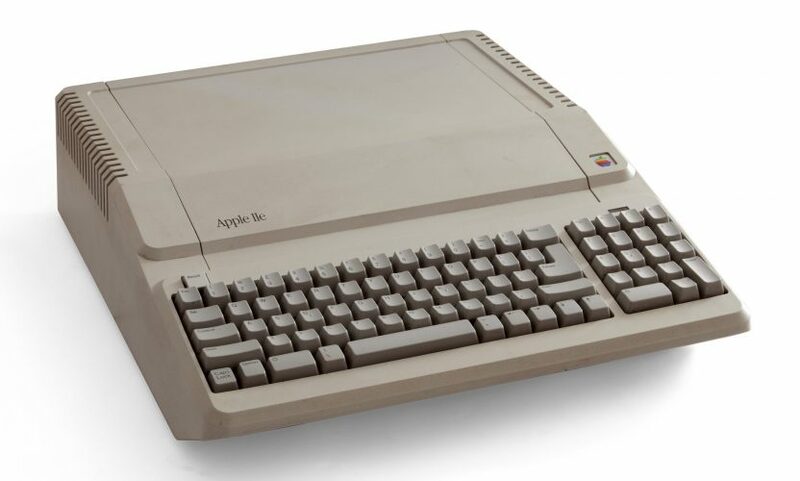 While some of the more egregious Apple II keyboard problems require desoldering of the switches or a new keyboard encoder, it appears that excess grime is fortunately really the most common issue. 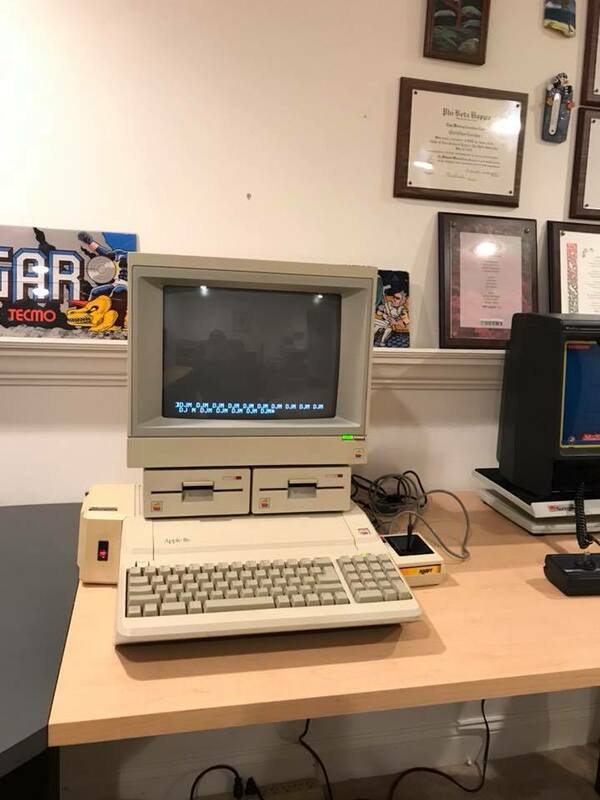 As with most of my vintage computer equipment, I was not the original owner, so it’s hard to tell how well this stuff was actually cared for. While it’s easy enough to use something like Goof Off to remove permanent marker serial numbers (which I had to do on this particular model), until you really get inside do you know how deep the cleaning needed really is. I’ve said it a bunch of times before and I’ll no doubt say it a bunch of times again. Getting rid of 99% of my collection and actually having a functional basement with a small selection of vintage equipment was one of the best things I did. 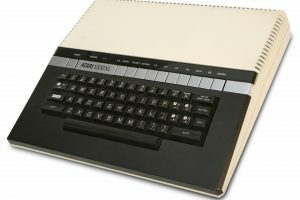 Even modest victories like fixing the keyboard on my Atari 1200XL and Apple IIe Platinum would have been difficult and/or handled differently when I was inundated with wall-to-wall stuff. I really get to enjoy the individual pieces now and really get to use them. What was previously something of a stress is now the more Zen-like experience I always wanted it to be.